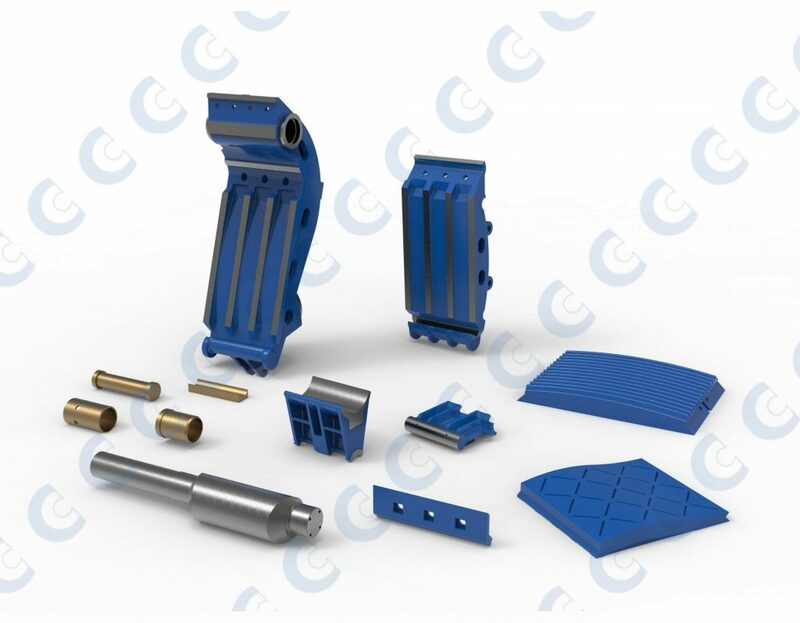 CMS Cepcor® is the primary aftermarket supplier of crusher spare parts and manganese wear parts to suit Kue-Ken (Brown Lenox and Armstrong Whitworth) machines. We stock a full range of precision machined mechanical spare parts for double toggle machines including eccentric shafts, pitmans, front and rear toggles, toggle seats, toggle pins, oil pumps and diaphragms. CMS Cepcor® stocks a range of standard Jawplates and cheek plates to suit the range of Double Toggle and Rockeater jaw crushers. Jawplates to suit the primary 150, 160 and 200 models are offered from our premium range. CMS Cepcor® also stock standard and heavy duty jawplates and manganese cheek plates to suit the single toggle jaw crusher range.